Wall Mounted Benches provide a great solution wherever space is at a premium. 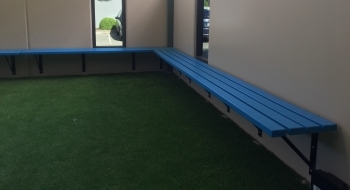 The Wall Mounted Bench comprises 90 mm x 40 mm recycled plastic slats and a series of galvanised steel frames. 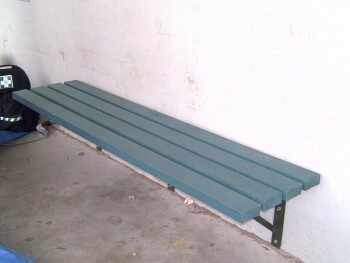 The bench can be mounted securely to any solid wall structure and can be constructed in any length. 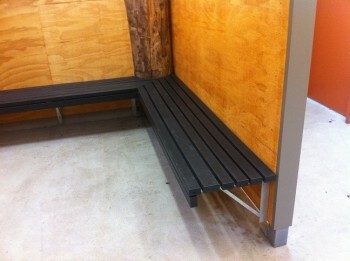 The resulting benches are very stable, making them a popular choice for toilet blocks and change room facilities. 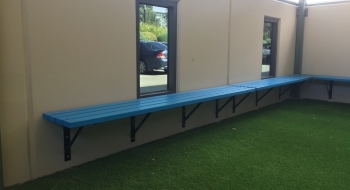 The bench slats are constructed from recycled plastic which makes them especially suitable for use in wet conditions, as water will not affect the material. 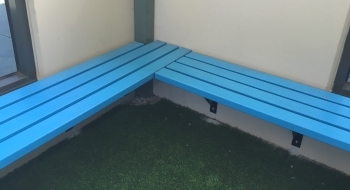 Wall Mounted Benches are available in a selection of colours.